My favorite here is Mulberry for the color, even though the formula stinks. It’s so sheer and applied unevenly. It’s more opaque on the first coat than I thought it would be, otherwise good formula. This is sheer, and applies unevenly, and drags if you don’t let it dry. But it’s friggin gorgeous and I love it anyway. This was more opaque than I expected, and had a good formula. 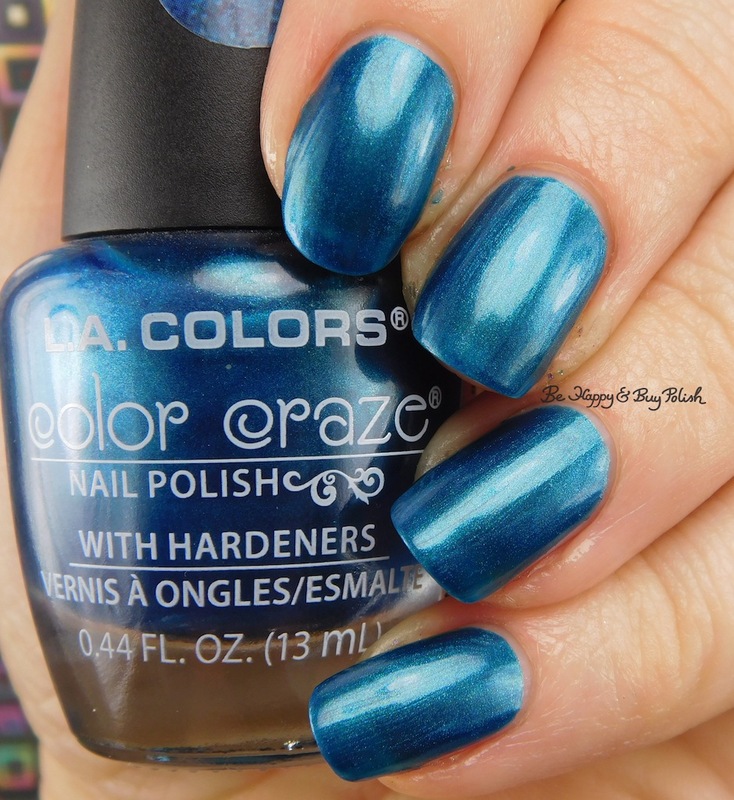 This has a good formula, it shows up more blue on camera than it is in person. Formula was a little thin. These are pretty! I saw a bunch of these at Dollar Tree and almost picked up a bunch. Maybe I will go back! You know, I’ve been pleasantly surprised by a lot of the LAC polishes! On the plus side, if you hate them, they’re only a buck.